DON’T CALL AN EXTERMINATOR! Save money with Do-It-Yourself Home Pest Control. 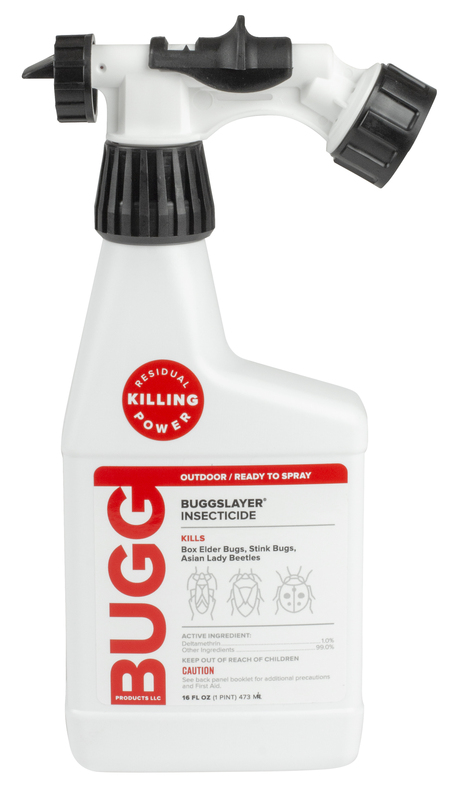 BuggSlayer Insecticide is a concentrated residual insecticide EPA registered to kill multi-colored Asian lady beetles. It also provides excellent control of stink bugs and box elder bugs. Connect to garden hose and you are Ready-To-Spray!